Annette Gordon-Reed has 2 media appearances. Annette Gordon-Reed discusses Thomas Jefferson and Sally Hemings: An American Controversy. Annette Gordon-Reed discusses The Hemingses of Monticello: An American Family. The relationship between Thomas Jefferson and Sally Hemings has been a subject of speculation for centuries and even more so in the past decade, when DNA testing increased evidence of a sexual liaison. Author Annette Gordon-Reed, who received attention in 1997 for a book that carefully evaluated claims and counter-claims about the Jefferson-Hemings relationship, has written a new book about Sally Hemings – a slave in the Founding Father’s household – and her family. Annette Gordon-Reed's book A Slave in the White House was available from LibraryThing Early Reviewers. 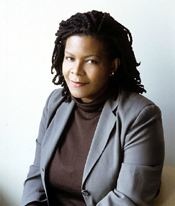 Annette Gordon-Reed is currently considered a "single author." If one or more works are by a distinct, homonymous authors, go ahead and split the author. Annette Gordon-Reed is composed of 6 names. You can examine and separate out names.